Building the most magical place on earth was no fairy tale. Learn the story behind the creation of Walt Disney World. In 1964, when Walt Disney and his brother Roy decided to build a second theme park in the Florida swamplands, they kept it super hush-hush. Why? Well, if word got out that they planned to buy up lots of land, the price would have skyrocketed. So the Disneys cleverly covered up their trail, avoiding the Orlando airport and even using made-up names, like Walt and Roy Davis, for their flights. The deception worked. In covering the history of the "Most Magical Place On Earth," Joan Holub takes readers both behind the scenes and underneath the park (there are secret employee-only tunnels that form one big circle under the Magic Kingdom). 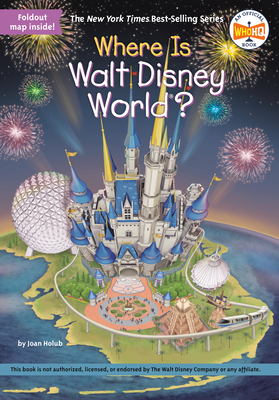 Loaded with fun facts, this book is a great companion to Who Was Walt Disney? Joan Holub is the author of several Who HQ books, including What Was the First Thanksgiving?, What Was the Gold Rush?, Who Was Marco Polo?, and Who Was Babe Ruth?